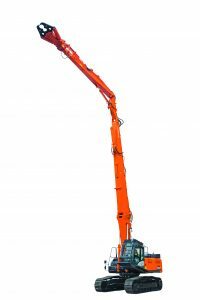 Designed exclusively for demolition work, the ZX225USRLC-6 two piece-boom has a greater working range than a monoboom model, and is exceptionally durable and safe to meet the demands of difficult working environments. 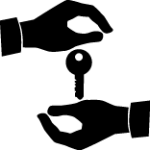 It can be relied upon to deliver optimum levels of availability and performance, and a profitable return on investment. 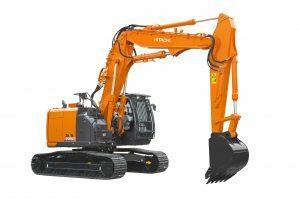 The ZX225USRLC-6 has a two-piece boom that is ideal for demolition projects as it extends the excavator’s working range. The front has been strengthened to meet the demands of demolition work, and comprises a reinforced arm and B-link, and welded A-link. Hoses on the boom are also protected from falling debris. The ZX225USRLC-6 is fitted with a device that alerts the operator if the machine is operating beyond its working range. 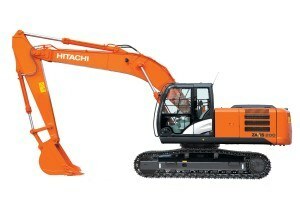 This enhances safety on challenging demolition sites. 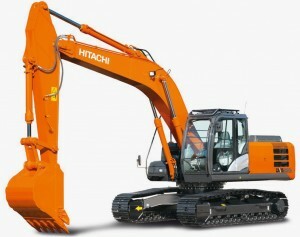 It is also equipped with a reinforced undercarriage and track guards for additional protection. The 8,160kg counterweight on the ZX225USRLC-6 is heavier than on standard models and offers increased stability.